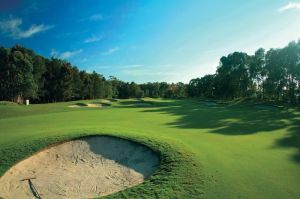 As the home of the Australian PGA Championship, resort golf in Australia doesnDesigned by renowned golf course architect, Robert Trent Jones Jnr, this stunning 18 hole course challenges even the best golfers while still providing plenty of enjoyment for the novice. 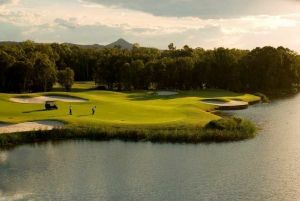 The stunning 72 par, 6137 metre course has been tackled by the game’s best including major winners Bubba Watson, Adam Scott, Y.E.Yang, Greg Norman and Darren Clarke. It also has its own range of Palmer Golf clothing, equipment and accessories, which means you will always look sharp out on the course. A modern fleet of carts, complete with rain cover for your bags, ball cleaner and built-in esky are also available for hire every day from the Pro Shop, with newly upgraded cart paths installed throughout the entire 18-hole network significantly enhancing your playing experience. 10 minute drive to Sunshine Coast Airport; 90 minute drive from Brisbane airport. 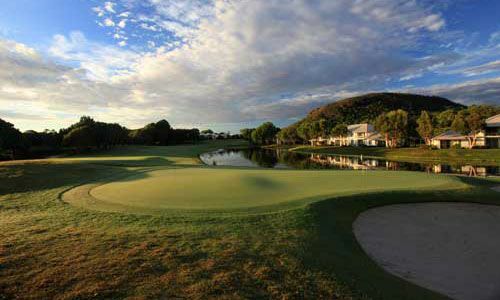 Hyatt Coolum Golf is not yet in our pool of Golf Courses for orders.